Ever since the dawn of time, the Minions have lived to serve the most despicable of masters. From T. rex to Napoleon, the easily distracted tribe has helped the biggest and the baddest of villains. Now, join protective leader Kevin, teenage rebel Stuart and lovable little Bob on a global road trip where they'll earn a shot to work for a new boss-the world's first female super-villain-and try to save all of Minionkind...from annihilation. 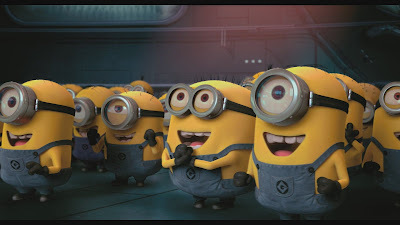 Minions Characters are HOT!!! 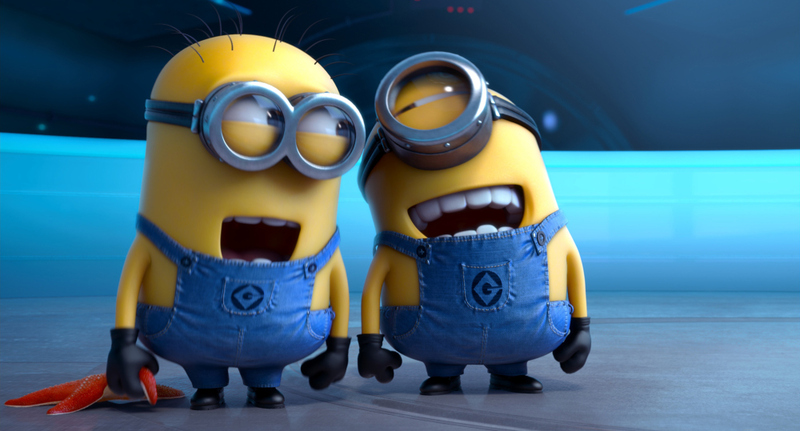 Everyone wants a minion, why I don’t know but I want one too. These little yellow banana shaped creatures don’t even speak English, there were no subtitles so I had to guess what they were saying the whole movie!!!! It was very predictable and I found myself falling asleep at times. A colony of yellow banana shaped creatures called minions search for the most despicable master over the course of centuries. 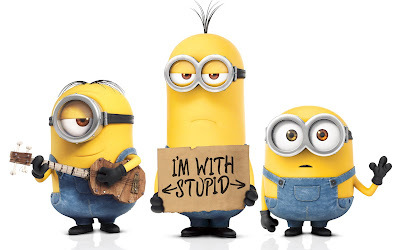 The minions, don’t speak English or any other language understandable so don’t try, there is no subtitles. In this movie 3 minions, Stuart, Bob and Kevin set out on a search to find the most despicable master in order to save their tribe. The minions encounter various obstacles along the way as they try to work for Scarlet Overkill, a female super villain who is well known to the evil communities. They soon find that the grass is not always greener on the other side, but get their happy ending. Consistent through entire movie. Music was okay, narration made me sleepy which made it difficult to pay attention throughout movie. The CGI was awesome, this was the best part of the Film. It is very, very unlikely that I would watch this movie again. It was difficult to watch the first time, I suffered through the first 45 minutes without understanding what in the world was going on or being said, like I mentioned earlier the plot was horrible. A better theme was definitely needed, that was not easy on the ears or eyes at all, did not hold my attention at all, and was like sitting in your least favorite class for 2 hours.